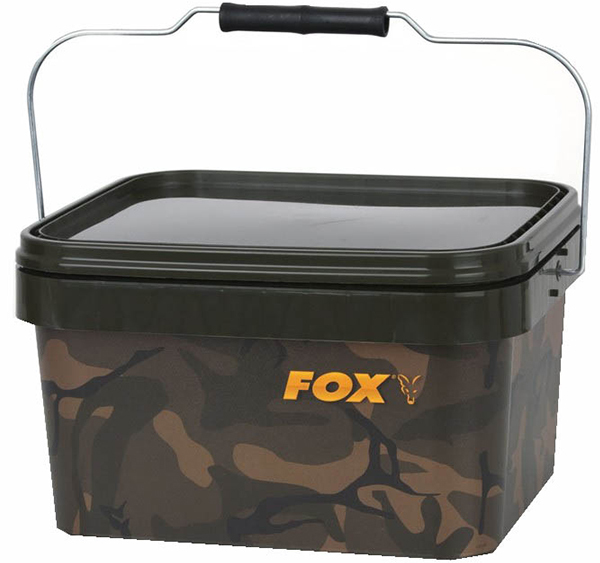 These practical buckets from fox are perfect for storing your boilies, particles and groundbait. The lid allows you to keep those small annoying animals away from your bait. The handle allows you to easily carry your bait. The bucket comes in a beautiful camo colour. The square shape makes them easier to stack and also store in car and on barrow. A must-have for every carp fisherman!